Trevor Williams Kids Foundation Big Chill Soirée raises money to support a program called the Chill Zone. The Chill Zone works with youth on emotional regulation. Giving youth the tools necessary to navigate situations of bullying and violence. 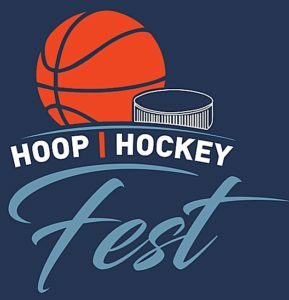 HOCKEY FEST started in 2017 in conjunction with HOOP FEST. It is a day-long tournament featuring both corporate and school teams. The Trevor Williams Kids Foundation offers a series of programs known as “Zones.” These Zones are aimed at improving the lives of youth through the teaching of life skills. They feature a variety of hands-on instruction and activities, all of which serve to underscore the importance of health, well-being and education. The Trevor Williams Basketball Academy is Montreal’s premier summer basketball camp catering to boys and girls aged 6 – 18 years. Ran by former basketball Olympian Trevor Williams, now the head coach of the Dawson Blues CEGEP team, the Academy teaches fundamental basketball technique in a fun, summer camp environment. HOOP FEST began in 2005 as a day-long basketball tournament and is TWKF’s pinnacle fundraiser. The corporate tournament is about involving Montreal companies to make a difference in the lives of Montreal’s youth, all the while having a fun and competitive day of ball at our city’s premier basketball event. 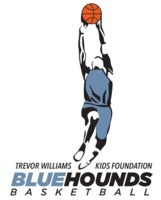 Bluehounds is an elite all girls basketball program dedicated to developing strong women through intensive athletic training, competition and academic encouragement.